I recently needed to fly cheaply from DFW to Orlando. I decided to try Spirit Airlines. With some fear and trembling I look forward to my flight on the no frills/charge for everything Spirit Airlines. This airline is apparently one of the most profitable and most hated carriers in the country. I booked this flight because I needed to save money, and it ended up $100 cheaper than any other flight. I’ve read the horror stories. And they are pretty bad. Spirit seems to have strict guidelines for what they will do to “help” people. They charge for everything, and if you didn’t bother to read that then too bad, pay the fee or don’t fly. Your ticket gives you a seat on the flight,nothing more. Pay extra for bags, for assigned seats, for boarding status, for snacks and drinks, for anything. Oh, and if you forget to pay for the bag at the time you buy the ticket, pay even higher fees to check it at the counter or gate. But even after I selected my flights, and seats and checked a bag, it was still cheap enough that I took the chance. I expect the Greyhound of the skies. I don’t expect comfort and I don’t expect courtesy. I just need to get to my destination close to on time. That’s the only thing that scares me. The complaints about rudeness, or fees don’t bother me. The website is up front about what they charge for. Read it and plan accordingly. But some of the complaints are about cancelled flights, without a lot of help to get your to your destination. They are not a big airline, and they don’t have as many flights. So if one goes down, you might not get another one the same day, or even the next day. That’s scary since I need to get to my destination and get back on the day I’m booked. Luckily, they do seem willing to refund your tickets in such situations. So worst case, I’m flying into large airports with major carriers. I can get home. It will just cost more. I’ve been around the internet long enough to know that people will complain quicker than compliment. So I know that for every horror story online there are hundred of less horrifying experiences. So, I’ve check in. I printed my boarding pass, because they charge you if you ask them to print it. And I’m ready to go. I hope. The day of the flight. Got an email when I woke up telling me that my gate had changed. That’s helpful. In line at 5:26 AM. Long line to check in, Bag drop is shorter. Bag drop was fast an easy. I had pre printed my pass and handed my bag to the attendant. And I was off to security. While waiting in security I heard the woman next to me complaining about Spirit Airlines. She saw me smile and began a conversation. She hates Spirit, but only because of the fees. She had to wait in line because her pass wouldn’t print at home. She did say that the attendant waived her $10 fee this morning. She went on to say that Spirit wasn’t the worst airline, but named another instead. She was headed to Chicago. 5:52 AM. At gate, way early. As I walked to my gate I heard an announcement for another Spirit airlines flight say that they were missing a flight attendant, and therefore that flight was delayed until they could find one to fill in. I was struck by the fact that they didn’t have to tell anyone what was happening. Could have just delayed the flight, but instead they gave almost too much information. 6:27 AM. Flight cancelled. They will refund, rebook for tomorrow or put on another airline. I quickly left the gate and got my checked bag. I slipped into the baggage office where a very nice woman helped me confirm there was no way to fly Spirit to Orlando today. That left refund and rebook, or wait in a very long line and try to get a decent flight into Orlando. I had no desire to fly stand by with the other 100+ passengers now trying to get a flight to Central Florida. I knew this was the only thing I couldn’t prevent. Cancelled/delayed flights are out of my control. The helpful employee said that they were having cancelled flights all the time this year. Blamed it on scheduled by mix ups. I didn’t want this issue on my return flight later this week. That made up my mind. I decided to cut bait, took the full refund and starting looking for fast flights to my destination. Southwest had several flights, but I had to drive to another airport. An hour later I was at the ticketing desk for Southwest, booking a last minute flight that still got me there fairly early in the day. But I was flying stand by. 9:00 AM, In a seat on the first leg. This leg was delayed some and now the last leg is going to be a tight turn. I had decided not to check my bag again, (will need some new toiletries though.) so I hope I can run to the gate and make it. If so, I will arrive just 2 hours later than originally planned. 10:30 AM. It was not awesome. Missed it by 5 minutes. 12:27 PM. Flying standby these days is horrible. Every flight is full. You’re just hoping someone doesn’t show up. Had a seat on flight to Memphis that would then go on to Orlando, but I did not have a seat to Orlando. That flight had already check in full. I opted to wait for a direct flight. Generally, Southwest doesn’t seem to be having a great day. Lots of unhappy flyers in the terminal. Mechanical issues causing delays and cancellations. But, because they have a decent sized fleet, there are options for travelers. 1:55 PM. As my flight time (assuming I get to board) was getting closer I went to double check my position on the stand by list. Because I had not taken the last flight I was no longer on the list. The nice lady added me. 3:28 PM. I’m on the plane. Had to sit by the large fellow who decided both armrests and half my seat were his, but I’m on the plane! 6:30 PM. Arrived safely. 7 hours after my planned arrival time, but I’m here. Would I fly Spirit again? (Technically, I never flew them this time…) Only in certain cases. With such a small and old fleet you can’t trust that you will arrive on your planned travel day, much less on time. 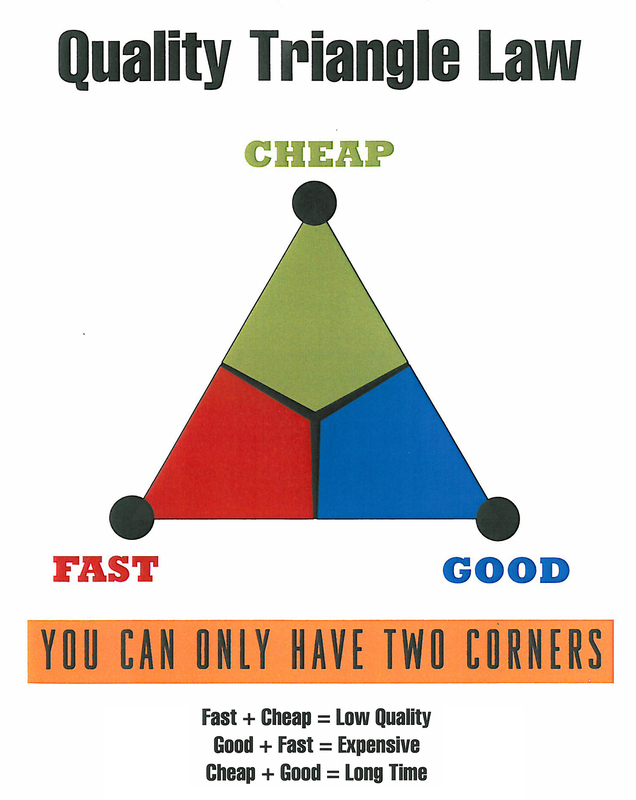 So if you just need to go somewhere and the day or time isn’t important, they may be a cheap option. But watch out for fees. Every airline has issues. But outfits like Southwest are large enough to fix/replace aircraft or rebook flights for the same day. Incidentally, I flew American Airlines home, and they had mechanical delays and cancellations, but I was able to get home because they have lots of planes and flights. 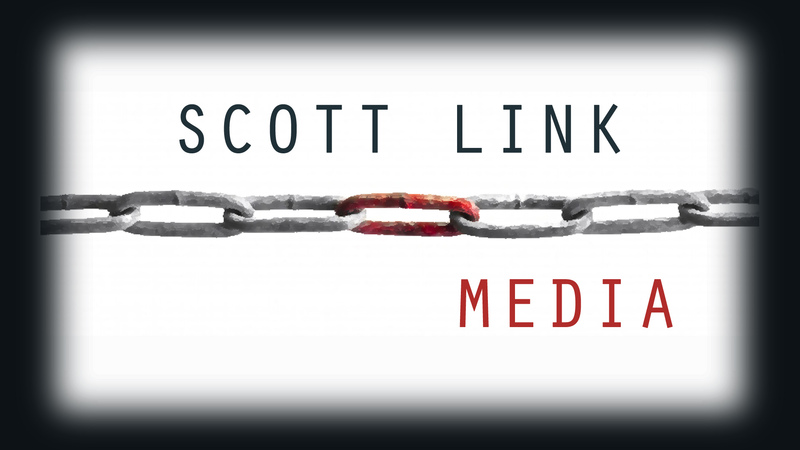 Thanks for visiting Scott Link Media. Stay up to date with the latest news by subscribing to our email newsletter. If you click on the header above you will end up on the main page, where you can see 3 different video sections, Short Films/TV, Church Media, and DIY. Each contain several videos for your viewing pleasure; including links to some episodes of the award winning series Peculiar. Mean while I’m working on some more short projects. The major projects I’ve got cooking include a feature length movie about small church politics called Flawed, and a screenplay that’s a biblical epic based on portions of the book of Acts with the working title One Centurion. And there’s a campy comedy about church camp. And lately I’ve been drawn back to the documentary idea Gay Church. Follow the links to find out more. Dear Christians, The Culture War is Over, We Lost. The culture war is over. We lost. We lost because it took 20 years for us to realize we were at war. This war of ideals started in the 1960s, but the Religious Right got going in the 80s. By then we were already on the defensive. We were most concerned about maintaining the power to enforce our rules. But legal authority alone does not engender revival. We lost because we decided to let school and church teach our kids the most important lessons. We shirked our responsibility as parents. We are supposed to “train up a child” and teach them what it means to live a righteous and holy life. Instead we left that education up to Sunday School teachers who saw kids for 1 hour a week. How can we be surprised when a college student leaves home and then drops out of religious practice? We didn’t teach them what was important. Someone else did. How can we be surprised when our children’s views differ from our own? We didn’t teach them. We lost because our own faith is little more than weekend window dressing. We go to church, and then go home and live like everyone else in the world. We don’t live as Christ did. Non Christians look at us and see little beyond a seemingly irrational, deeply-held belief that we are right and they are wrong. But if we are different and correct, why don’t we live differently? Why don’t we love differently? We lost because we were fighting the wrong war. By all means, vote and speak up about morality, injustice, and erosion of freedom. But those things are not the reason we live on this earth. God didn’t ask us to protect our way of life, he asked us to be ambassadors of the reconciliation. I fought in this political war. I wrote about it, I voted my values, and railed against changes. It’s easy to get riled up about things that erode your status quo, it’s hard to live a life that proves your claims are real and better. The war against sin is less about other people’s actions, and more about our own. We lost because we were fighting a political war when we should have been fighting a spiritual one. Do we believe our enemy is not flesh and blood? Do we really believe there is a spiritual aspect to this conflict of ideals and morals? It’s easier to rally the vote and cry about discrimination than it is to get on your knees and pray and trust that God hears and is in control. Want to change the world? Coercion through legal means doesn’t change anything but outside behavior, and that’s temporary at best. Change the world- truly change the world by changing hearts. We lost because we were more concerned with making sure everyone behaves correctly than we were with making sure everyone has a personal, life-changing relationship with Jesus Christ. We were more concerned with proving America was founded on Christian principles than leading Americans to Christ. We were more concerned with telling people what was sinful than we were in helping people find the one person who could take that sin on himself. We lost the culture war. Let the spiritual revolution begin! 2 millennia ago a small group of believers was not in a position of political or legal authority. In fact, many were killed for their beliefs. They focused on one thing, making disciples. They didn’t shy away from speaking the truth, they called people to repentance. They lived lives that marked them as different. Their lives were not easy, and they were often persecuted. But they were faithful. They made disciples. And that small group of believers grew to over 2 Billion today. Somewhere along the way we, in Western culture, lost the sense of urgency, lost the love for people and desire to see them in a reconciled relationship with God. We became satisfied. We became preoccupied with maintaining the status quo. I fear the only thing that will shake us from our steadfast satisfaction is the shattering of society as we know it. The culture war is over, and we lost. Let the spiritual revolution begin! Thanks for reading. Let me know what you think below. Normally I post about media from a biblical worldview, like these short films/shows. This morning I got a copyright claim notice from Youtube about a video I created using a song from a Digital Juice library. That sounds worse than it is. First, I used the content legally. I purchased the right to use it in this fashion. So the claim will eventually be dismissed. Second, even if I did “steal” the song, Youtube won’t pull it, they just place advertisements on the idea and give the money to the people who own the rights to it. It’s annoying because I didn’t use it without having the right to do so. And now, for a while at least, I won’t get the revenue (however small) from any advertising on that video. It’s also annoying because the claim came through a very slimy company called AdRev. And a concern because Youtube takes copyright violations very seriously from it’s partner channels. AdRev is a company that exists for the sole purpose of generating advertising revenue from Youtube content. Their selling point is that they can help content creators to monetize use of their content on “unauthorized, unofficial, and fan videos using your music.” For a cut of the revenue, their computers scour the massive content on Youtube for music that matches their client’s library. Then they exercise their Digital Millennium Copyright Act (DMCA) muscle and inform Youtube that a copyright infringement has occurred, and they would like to collect the money from any advertising on that content. They do not contact the Youtube channel first, they just hijack the ad revenue, forcing the channel owner to prove they did not steal the content. In this (civil) case, guilty until you can prove your innocence. This isn’t the first time I’ve had this same company file claim (erroneously) on a video. Every time I have been able to get the claim removed. But it’s a hassle. While legally they do not have to contact me before filing a claim, ethically, they should. It’s a slime-ball maneuver to steal my ad revenue this way. It’s not like I’m taking radio hits and using them as music beds. These are royalty-free, buy-out music tracks that are designed expressly for use in projects and videos like this one. It is highly likely that anyone using them will have the license to do so, because they are created and sold for this purpose. I have mixed feelings about the DMCA in that, as a content creator, I’m glad that I can easily dispute the use of my copyrighted work. I do not like that without a hearing of any kind, companies like Youtube will immediately divert the ad revenue from a given video to the people claiming to own it. In my case, we’re talking pennies. But this is big enough business that companies like AdRev exist. They make enough from this sort of thing to keep on doing it. A larger concern for me is that I am a Youtube Partner, and in order to maintain that status (and access to higher dollar ad sharing, etc…) I have to stay in good standing with Youtube. Part of that means no copyright violations. I don’t make the huge money from Youtube video ad revenue. This video won’t pay out a whole $1 in the month this dispute will last. But it’s still something from the effort involved in creating the content. I know I didn’t violate copyright. But now I have to send proof that I can use this music track the way I did. Youtube always initially sides with the people making the claim. They will immediately divert any revenue, or place advertisements on any content with DMCA disputes. They do not want to get sued by content creators, music studios, movie studios, etc… The last thing Youtube wants is to be thought of as place where people can violate copyright law. They are super strict, and err on the side of “don’t sue us”. That’s great if you have had your content stolen. Bad if someone makes an invalid claim against your content. How do I get the claim removed? This time was a bit different than previous claims, since the company I bought the music license from has undergone some changes in recent years. Previously, the simplest way to get the claim removed was to contact the rep for the music company, and they contacted AdRev to get the claim cleared. Since Digital Juice has switched to a subscription model, I am not sure how much action they will take on “legacy” customer’s behalf. I decided to attack this from 3 directions. I gathered the details of the purchase (dates, order ID, etc…). I emailed Digital Juice’s customer service, filed a dispute with Youtube over the claim, and emailed AdRev directly. In all three instances I outlined the facts, and provided details about when I purchased the license for the track and copied the end user agreement for the content which says I can use it this way. So, this can play out 3 ways. Digital Juice may contact AdRev and get them to remove the claim. AdRev may process my complaint and remove the claim. Or, after 30 days, Youtube should resolve the dispute in my favor. Email from AdRev saying the claim was released. And an email from Digital Juice saying that the claim from Ad Rev is not from them, and they provided me with documents proving they own the song, and that I can use it. It all sounds very fishy to me. The claim was removed. AdRev responded with “the claim is now removed” again. Yesterday my new short film BRKN released. I wanted to give you a run down of what I used to make it. Celtx Studio: A great set of online tools for scriptwriting, breakdown, shot lists, schedules, budgets, and more. You input the info and it does the work. Bulbs were all fluorescent daylight color temp. A fluid head tripod and a DIY slider. Various stands, cables, SD cards, diffusers and clips. That’s it. A lot of little pieces to make a whole. The continuous AF with the Sigma and the a6000 worked amazing well. Josh just got his phone fixed, but unfortunately that’s not the only thing broken at home. A short film about trust. Starring Anna Walker and Derek Henning. Post is progressing swiftly on the short film BRKN. I thought I share some of the numbers associated with it. 13 Dollars. The actual amount of money spent. For snacks. I either owned or borrowed everything else. No-budget production. 300 Dollars. How much would have been spent for camera/lighting rental if I didn’t own or borrow the gear. 3 Hours. Length of time actually shooting on set. 2 Weeks. Length of time in Preproduction. 3 People. The number of bodies on the set. 2 actors and me. That’s it. Think that’s not enough? Me too. Want to help out next time? Shoot me an email: scott(at)scottlinkmedia.com. 5 minutes. Approximate length of BRKN. 1 camera. A Sony a6000. 2 Lenses. A Sigma 19mm f2.8 Art and a Pentax A f4 35-70mm Adapted to E Mount. The AF on the a6000 with the 19mm allowed me to do a couple of camera moves I wouldn’t have tried. 1 DIY Slider. My RigWheels/Cam-On-Wheels style home-made slider. Performed very well. It was great to be on set again, and I am hoping to do another project soon.